I made this mug on the potter's wheel in my Kansas studio. 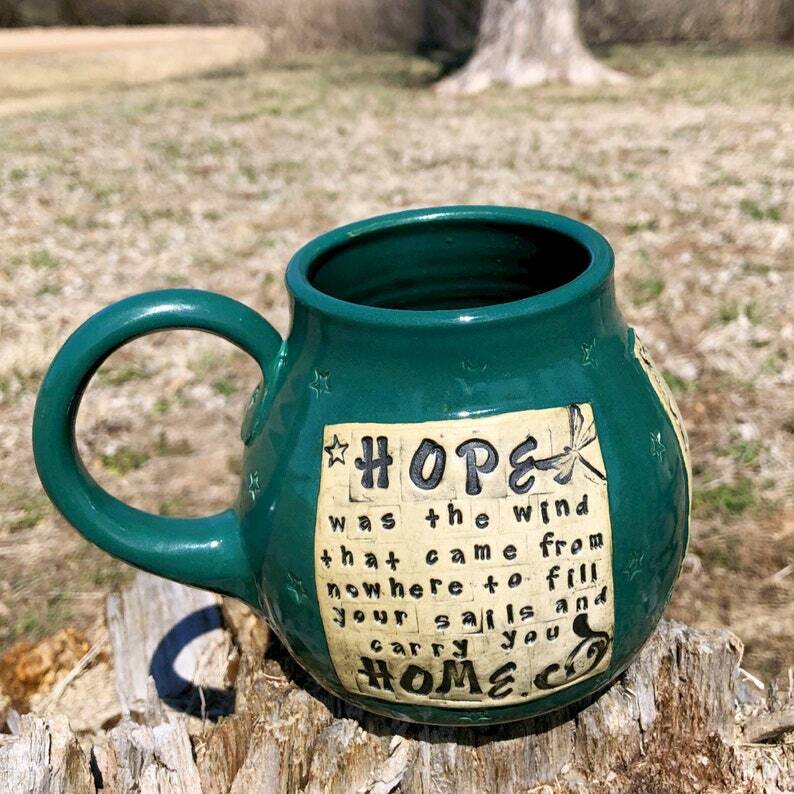 It features a stamped name plate that reads, "Hope was the wind that came from nowhere to fill your sails and carry you home. 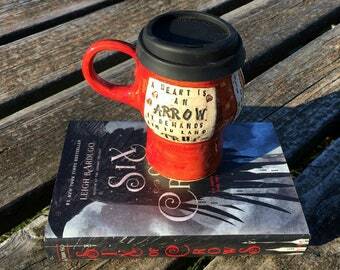 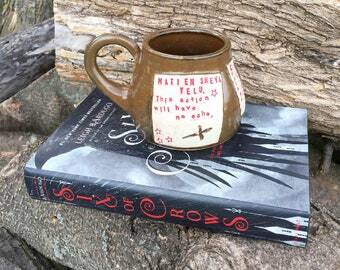 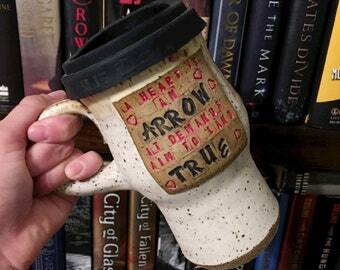 ", and strips opposite the handle that say "King of Scars" and "Leigh Bardugo". 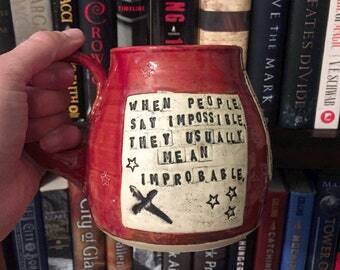 I stamped tiny stars on the sides of the mug. 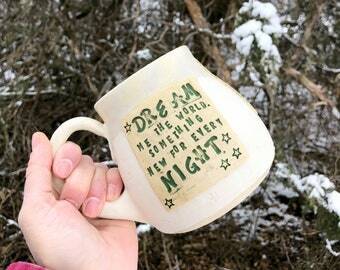 After the mug had been fired once, I dipped the entire mug in a hemlock green glaze. 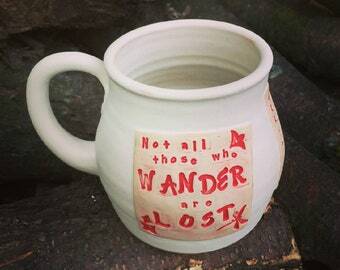 The mug was then fired in my electric kiln to about 2200 degrees Fahrenheit.